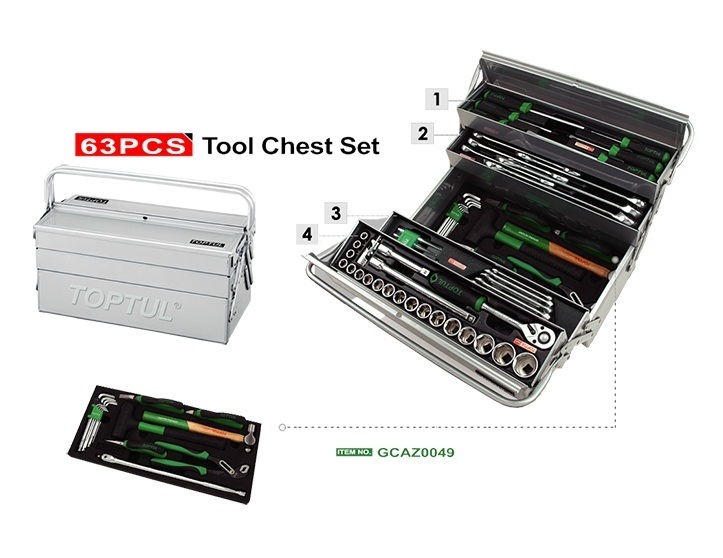 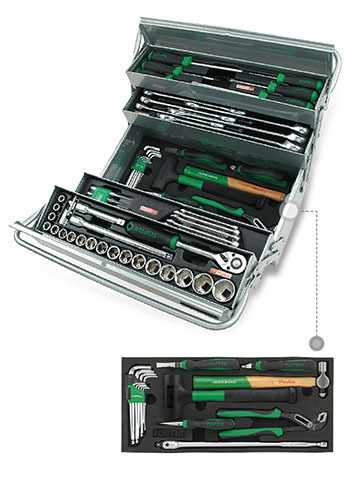 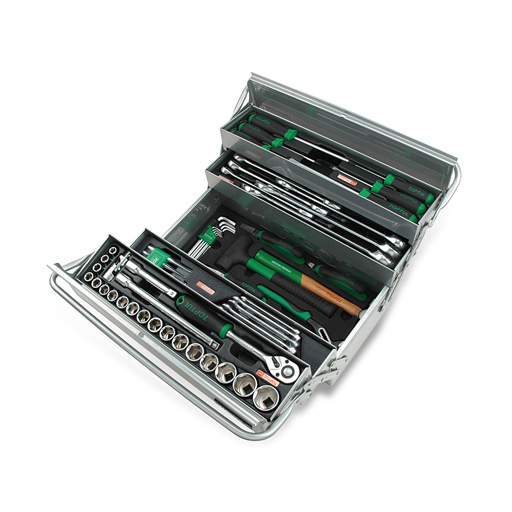 Toptul Professional 63pcs Tool Chest Set..
TOPTUL The Mark of Professional Tools is a well reputed organization dealing with the manufacturing and supplying of 63PCS Tool Chest Set and other relative products. 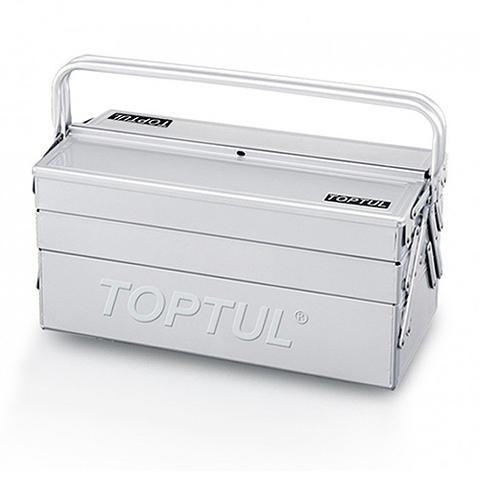 We have established strong customer relationships by providing innovative, user-friendly and high quality products that are manufactured in our sound infrastructure. Our mission is to find better quality aftermarket parts to compete favorable with genuine part and to provide a better service than what is presently available. 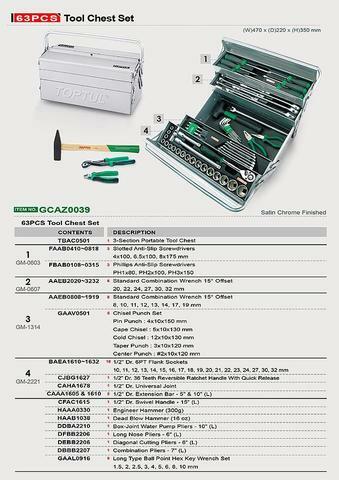 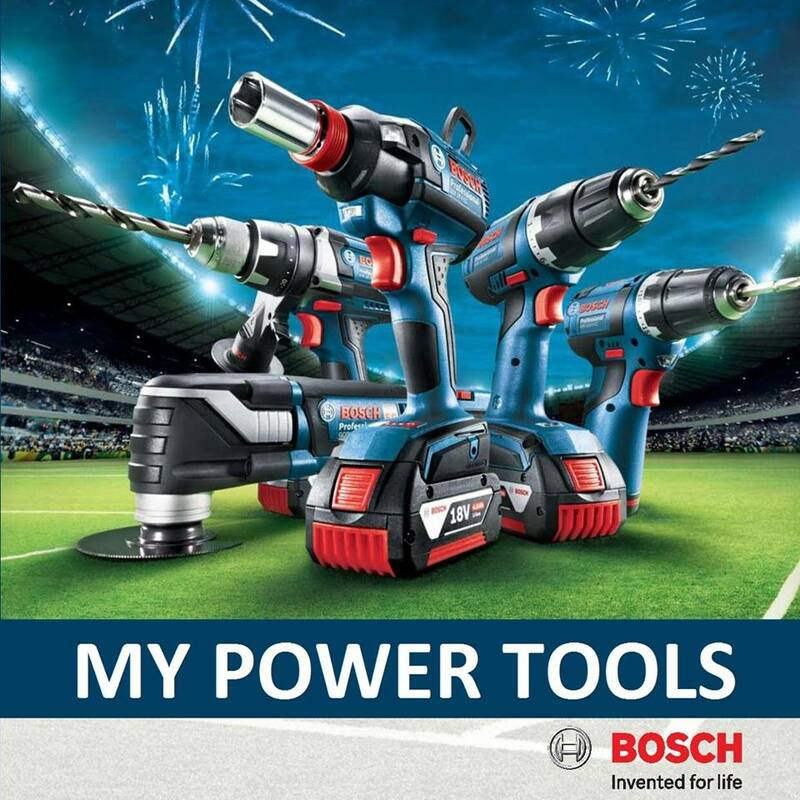 PRICE RM1,199.00..(Toptul the mark of professional tools)..